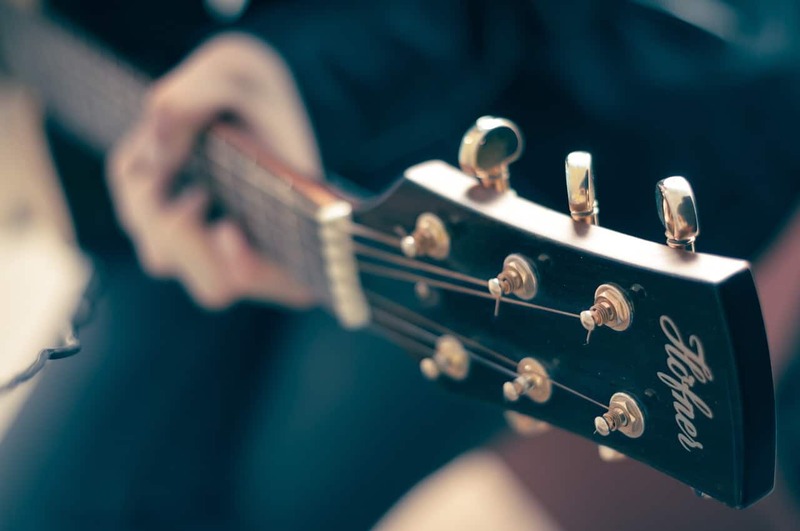 If you’re in a band and need to boost your acoustic guitar, and you have a budget of under 500 bucks, we've got a list of the best acoustic electric guitar under 500 dollars. 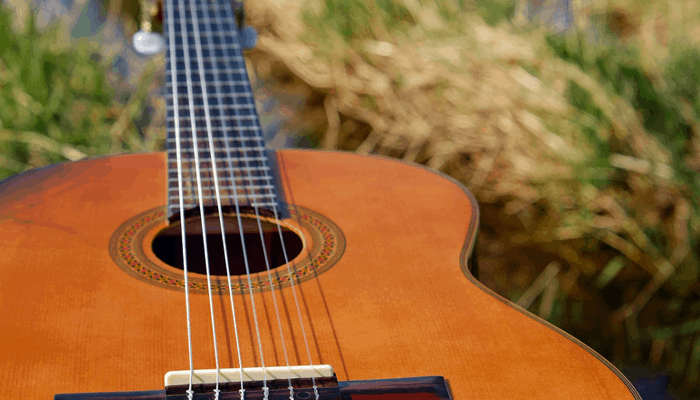 Got more of a budget, see the top acoustic electric guitars under $1000! Looking to go all-electric? Check our the top 10 electric guitars for less than 1000 dollars! What are the Different Parts on a Guitar? Should You Go For a Used or New Guitar? What You Should be Looking For in a Guitar? 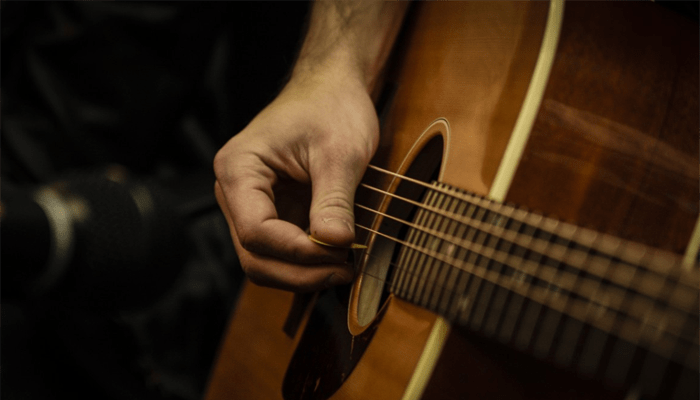 Are Acoustic-Electric Guitars Under 500 For Beginners or Professionals? Of course, there are hundreds for you to choose from, which makes picking one pretty tricky. Fortunately, we’ve done the hard work for you, with this list of 10 of the better options for under 500 bucks. For Electric Guitars click here. The first electro acoustic on our list is very unsurprisingly an Epiphone product. The affordable Gibson brand makes a superb range of entry-level guitars, and this one is no different. The Epiphone dove pro acoustic-electric guitar is unquestionably one of the top instruments on this list, and doesn’t come close to your under $500 budget. Intrigued? See more budget acoustic electric guitars here. Fit and finish is absolutely superb for the price, which means that in addition to looking great, the guitar under 500 doesn’t really need much setup from the factory. This means you can pull it out of the box and get some fantastic tone instantly. The dovetail neck gives really nice resonance, and the pickup/preamp combo ensures that everything is heard loud, clear and tight. With enough change to spare from your under $500 budget to buy an amplifier and other bits such as a guitar amplifier mic or instrument mic, the Dove Pro is a seriously good proposition for those completely new acoustic-electric guitars Under 500, or indeed new to guitars full stop. Really well made, easy to play with a narrow D neck, and a tone good enough for most. If you've got more money to spend, try our review on some fantastic acoustic-electric guitars for less than 700 dollars. If you are interested in having warm tone in your guitar, we also recommend you check out Semi Hollow and Hollow Body Guitars. Next up is the top end of Yamaha’s entry-level guitar offering, the FSX830C. It’ll come in at just under your $500 budget, but is a premium product to back that up. 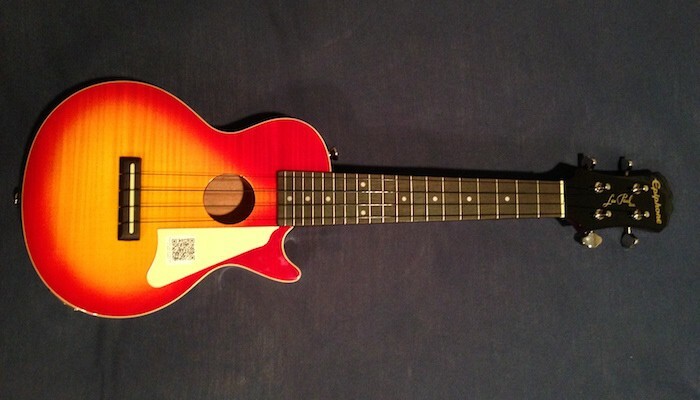 This is a small-body cutaway, with a short 25 inch scale, and shallow, slightly flat oval neck. Yamaha have specifically marketed this as a guitar for those with smaller hands, and we can see that it would be a best choice if this is you - but there’s no reason to be put off if you’re looking for a full-size. 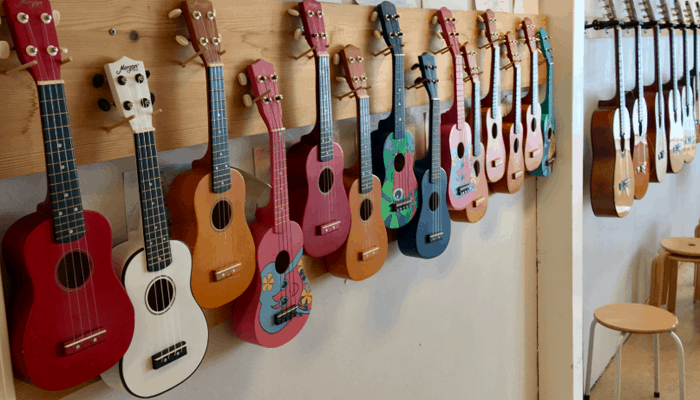 If you are looking for an even smaller guitar, you can look into Ukulele's (click to view our top 10 guide). This model is an updated version of the previous 700 series guitar, with the major change being special scalloped bracing on the interior. Yamaha claim that this helps to boost the bass and mids, and we have to agree. Plugged in and cranked up, this small-body (solid spruce top, rosewood body) really doesn’t sound that far away from a dreadnought. Combined with the cutaway and oval neck, this is a simply awesome guitar to play. Looks wise, there isn’t anything special to comment on, aside from the fact that this guitar has a very nice finish indeed, and really does feel every bit like an under $500 guitar. For your money you’re also getting a System 66 preamp with 3 EQ adjustment, and a piezo saddle pickup. See more of the top acoustic guitar pickups. Why We Liked It - It’s at the top of the price bracket, but it’s very hard to argue that it’s not worth it. Many beginners will find this an easy guitar to play with, but experienced players are going to love the quality, the neck, and the hardware. A very interesting addition to our list is this thinline guitar from little-known manufacturers Jameson. The first thing to note of course is the price. This thing is an absolute steal, coming in nowhere near even half the $500 budget. You’d be forgiven of course for thinking that this is an electric acoustic worth ignoring, but you may well be wrong. Tone wise, it’s not bad at all and is more than good enough to get you going, with the preamp and pickup working nicely too. What’s even better is that this is a really easy guitar to play thanks to that slim body, which sits nicely under your arm. Best if you need something to transport, or if you find full-width acoustic guitars uncomfortable. To get even more comfortable, make sure you have the right guitar stool - view our favorites. Why We Liked It - We simply had to include this guitar on our list because of that crazy price, which is under a quarter of the budget. We’ll freely admit that it’s definitely in the low end of choices when it comes to material quality, tone and specification, but for this price it is certainly worth a shot if you’re not sure this type of guitar is right for you. It’d be best for kids too. One of Fender’s most popular options in this market, the CD-60SCE is a great solid top guitar, with big sounds and a classic look for not a lot of cash. We’ve got a Venetian cutaway which makes it very, very easy to get to the upper frets, and the rolled fingerboard adds to the smooth playing. The tone is, as you'd expect, superb from this big bodied, no-nonsense guitar. It thunders along even without being plugged in (view the top cables here), which makes it a good choice for people who want the versatility of being able to play acoustically or electrically. Much of this is thanks to the clever scalloped x-braces in the body of the guitar. The looks aren’t going to be everyone’s tastes - the entire thing is finished in dark brown mahogany, with a vertical, almost striped grain. There are a plain black pickguard and standard dot inlays on the fretboard. It’s a very old school guitar, but that’s probably an attraction for many people. Why We Liked It - It’s not often you find a Fender electric acoustic guitar at this price, which is why we’ve decided to include it in our best ten under $500. You’re getting a really high quality mid-range guitar for not a lot of money here, with Fishman electronics and one of the best necks on the list. Highly recommended. The second Epiphone guitar to make our list is a modern entry-level take on the legendary Hummingbird, which is a staple of so many famous acoustic guitarists’ lineup, not least Keith Richards of The Rolling Stones. 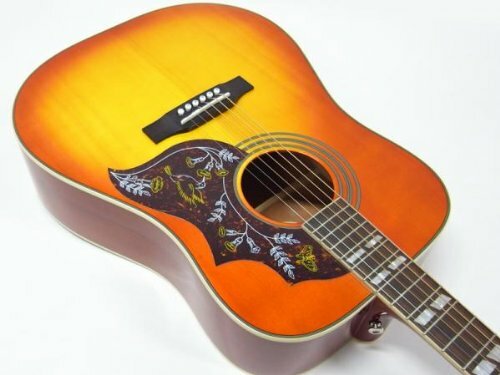 The sound clarity isn’t quite as good as a real Gibson Hummingbird, being a little too much on the top end, but for the price, it’s very hard to argue that this isn’t a very good representation, which is ultimately why this guitar is on the list. The Shadow Performer preamp and Shadow Nano Flex pickup system is very good indeed - best for professionals on stage. Why We Liked It - This list was always going to have a couple of Epiphones on it, and the Hummingbird certainly deserves its place. We really like the attention to detail and design of this guitar, but the ergonomics and overall tone really back it up. The Shadow pickups are a particular highlight - really helping to get across the bright tone of this particular guitar model. You can barely believe it’s under $500. Onto one of the most attractive guitars on our list - the Fender T-Bucket 300CE. This is a full-sized cutaway dreadnought, priced well within the under $500 budget, and designed with big sounds and big impact in mind. We have a quilted maple top, with laminated mahogany on the back and sides for a deep, rich tone. We really like the sound of this guitar. It has plenty of resonance, and some really nice sustain, which are complemented by a Fishman pickup and preamp combo, along with the built-in tuner and three-band EQ for some nice adjustment. Flame amber maple is the standard color, and it looks absolutely gorgeous; very well complimented with the black sound hole detailing. Several other colors are available too, but this is the one to go for. The fretboard has a nice custom inlay on the 12th fret, with complimentary detailing on the headstock too. This is a guitar to impress. 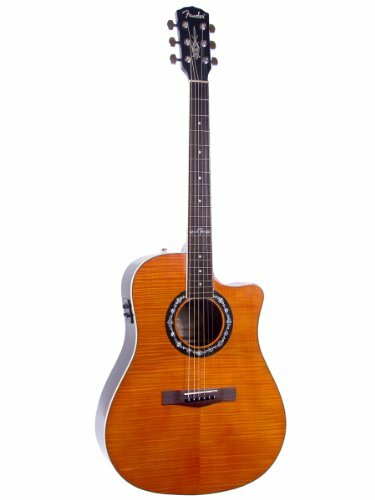 Why We Liked It - An all-around excellent choice, the Fender T-Bucket is a great looking, great sounding, and well-specified electro-acoustic guitar at an attractive price. There are very few weak points to this guitar, so it should undoubtedly be on your shortlist, which is why it’s on ours. 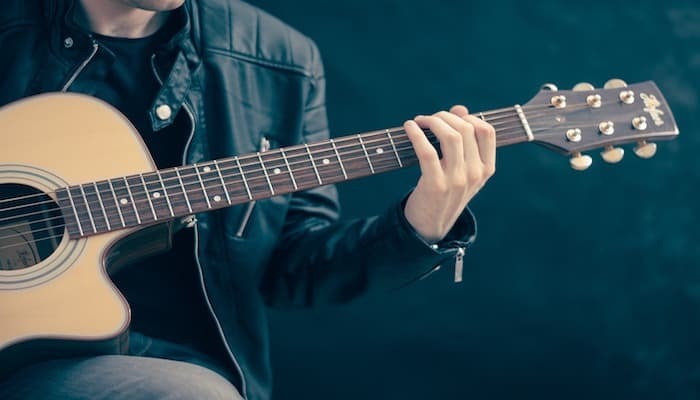 If you’re left handed, then you might find that your choices are somewhat more limited than your right handed friends, which makes picking the best electric acoustic somewhat tricky, as there are fewer of these than standard acoustics. We have you covered though - Jameson’s left-handed thinline guitar is a superb choice. The guitar is finished with a really nice gloss black. Yes, it’s going to hide the fact that this isn’t made from premium wood, but it looks smart, and you won’t worry about wishing you’d bought something more interesting. 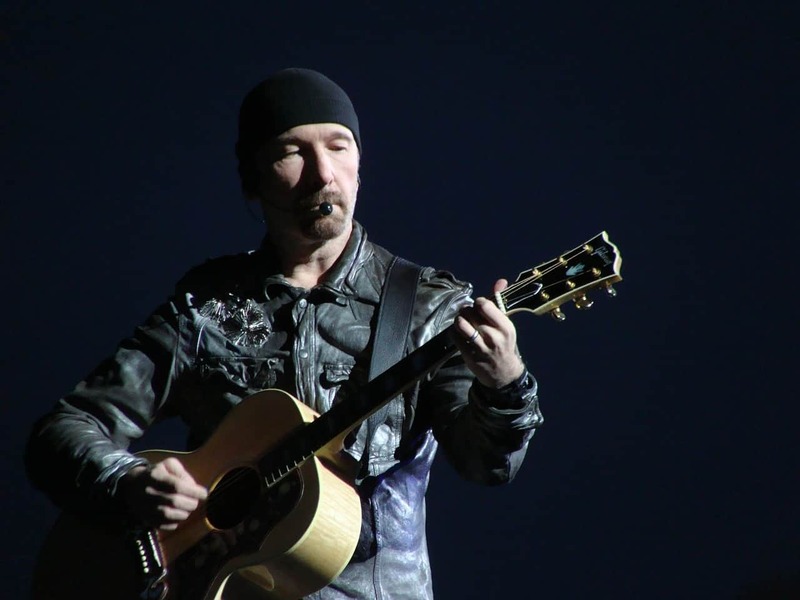 Why We Liked It - If you need a left handed electric acoustic guitar and don’t want to spend too much, then you really can’t do much better than this. This guitar is best suited to beginners because of not only its price, but the really nice slimline body too. All round, it’s definitely worth a look, and will be under most people's’ budgets. Dean are well known for making metal-oriented guitars for the likes of Michael Schenker and the late Dimebag Darrell, but that doesn’t mean they don’t have a fair few acoustic options in their lineup. The electro acoustic we’ve picked is the EX RES Exhibition, with the ‘Resurrection’ graphics. It’s a choice out of left field for those looking for something different. We really have to begin with the look. In-your-face graphics on the top, with a white finish on the rest of the body and headstock, complimented by V-shaped inlays, and a skull on the 12th (click here for 12 string guitars). It all looks incredibly rock n roll. It won’t be to everyone’s tastes, but if you like this kind of thing, then there aren’t many guitars out there cooler than this one. It’s not all about the looks, however - this is one of the best guitar instruments in its own right. The mahogany body makes a nice tone, and you get EQ adjustments for the preamp as you’d expect for a good guitar at this price. What really stands out, however, is the slim D-shape neck, which is absolutely superb, and makes quick playing a breeze. Why We Liked It - There are almost no competitors to this guitar in this price bracket. If you want something different for under $500, then this is it. Unashamedly inspired by its metal brothers, it’s incredibly eye-catching, but has the features and finish to really back it up. We couldn’t not put this guitar on our list. Another real looker to add to the list is the Epiphone PR5-E. It’s not a new guitar, having been around in some iteration for more than two decades now, but the old adage of ‘if it ain’t broke don’t fix it’ certainly rings true here. It’s a full size florentine cutaway, with that lovely sharp bout on the upper side. Being a thin body acoustic guitar, it’s very convenient to move about and would make a really good touring guitar if you need an acoustic for a song or two. Despite this, it still has a nice, full sound, and isn’t half bad even when unplugged, which is more than can be said than even some full-body dreadnoughts. What really impressed us with this particular guitar is the quality. Everything is very nicely finished, and we daresay that the action is highly unlikely to need any adjustment after delivery. It feels much more expensive than it actually is. Why We Liked It - If you’re looking for something a little different from the usual dreadnought shape, you want high quality, and all for under $500, then this is it. The florentine cutaway gives this guitar a really cool edge, and it is of course backed up by the best tone, great equipment, and solid build quality. A slightly different version of the T-Bucket 300CE that also made this list, the 300 is yet another fantastic acoustic offering from guitar legends Fender. A cutaway dreadnought, with a laminated maple top and mahogany body, it’s pretty much ready out of the box for whatever you had in mind. We think it’d be best for everything from kicking bag for a jam with your friends, or even getting up on stage. Being a Fender, the build quality is excellent. This feels like a very well made guitar, and we’re sure it’ll last a very long time. The pickup and preamp are of a good standard too, which is essential if you plan on using this to record or play loud and live. This version comes in a gorgeous ‘moonlight bust’ colour, which fades from pale grey to black, and really suits the maple top. It’s a much darker, moodier look than a lot of acoustic guitars, and is the polar opposite of the other Fender we’ve got on our list. In fact, it might just be the nicest looking guitar here. Why We Liked It - This Fender is nothing short of gorgeous, with that moonlight burst maple. It would probably be our favorite guitar on the list if it weren’t for the laminated top. That said, tone is still great, both acoustically and electrically. And it’s a Fender, for under $500. What more can we say? On a normal guitar, pickups are hugely critical pieces of equipment, and lots of guitarists will even go so far as to change them, even on premium guitars. They don’t make quite such a huge difference on electro acoustics, but they are nonetheless something that you need to think about. So firstly, what are pick ups and what do they do? As the name suggests, they are the electrical unit that picks up the vibration of the strings to create a signal that the amplifier can use. On an electric guitar, magnets are used to do this, but electro acoustics generally use a piezo style pickup ( which works with nylon strings) and then also has a preamp to boost the signal going into the amp, because the signals from non-magnetic pickups are not strong enough on their own. Generally, the pickup will sit underneath the saddle, which is in the bridge of the guitar, because piezo pickups need to ‘feel’ the vibrations to work optimally. Sometimes you will find them in the soundhole instead, and then the preamp that powers the signal for the amplifier can be placed in a variety of places. Usually, you won’t be able to see any of the electrical hardware on an electro-acoustic, other than the controls for the preamp on the side of the instrument somewhere. It’ll look from a distance just like any other acoustic. It’s also worth noting that soundhole pickups can, in fact, be retrofitted to normal acoustic guitars, but it can be difficult to get a good quality signal, and in these cases, it would generally be better to use a microphone. 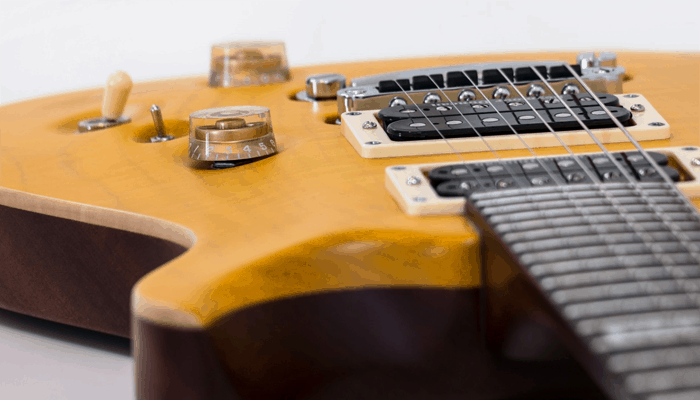 So when it comes to looking at the guitars you are thinking of purchasing, you generally don’t need to worry about the pickup too much if they are of a high quality. In acoustic guitars, the wood, shape, and quality of the guitar itself affect the tone so much more than the pickup. In a normal guitar, the pickup really shapes the sound, but in an acoustic-electric under 500, the pickup is there to turn the guitar’s own natural sound into a signal. That said, it’s always worth checking out reviews or trying out an electro-acoustic first to make sure that the pickups don’t add unwanted effects to the natural sound of the guitar. They’re not all the same. When you buy a new guitar, it will naturally come with a set of strings already on it. Depending on the guitar that you buy, these could be really nice premium strings, or they could be budget ones put on to keep costs down. Given the price of strings, it simply isn’t worth allowing this to influence your guitar purchasing decision. However, it’s always a good idea to find out what strings the guitar comes with when you purchase. This way, if you’re not expecting them to be of high quality, you can order a pair of better ones for when they arrive. If you’re not sure what you’re looking for in string and why they’re important, then read on. 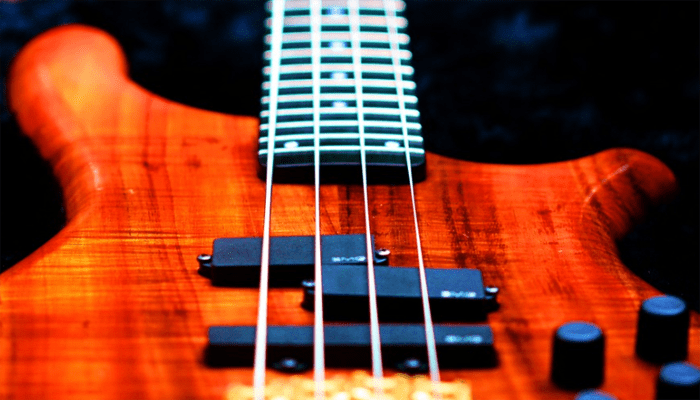 Strings can have wide-ranging effects on a guitar. The higher the quality, the better the tone that you get out of them, the longer they’ll last, and the easier they are to play. The list goes on and on. It can be very surprising to new guitar players how much difference a good set of strings can make. Let’s start with gauge as this is the main factor. This is basically the thickness of the string and affects everything from the volume and depth of the tone to the playability. Generally, there are five categories - extra light, custom light, light, medium and heavy. When you’re buying strings, they’ll usually be named one of those, but you’ll also find a specific number, such as 0.13 (known as 13’s) that tells you exactly what gauge they are. 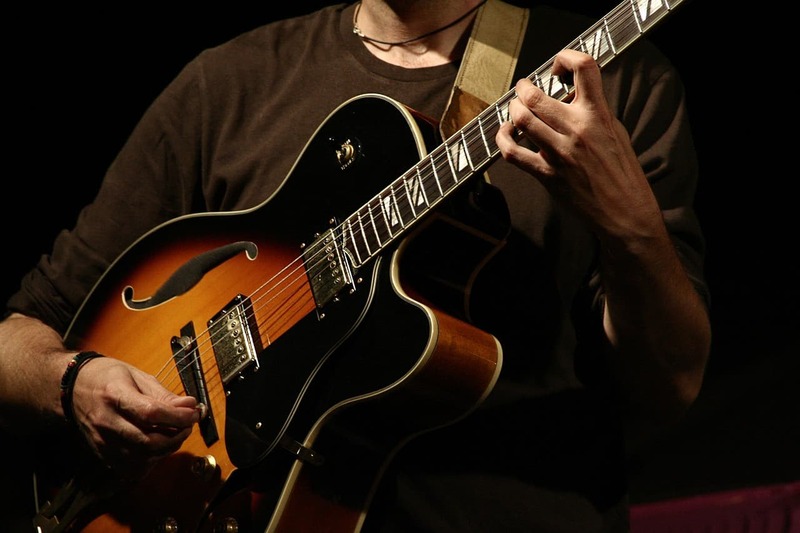 Heavier strings will make a deeper, louder and richer sound, particularly when combined with bigger bodied guitars. However, they can also damage smaller bridges and lightweight necks, and they can also be harsher on the fingers - both on the left and right hand - particularly if you’re new to guitars. Lighter strings can also be better if you want more treble, and to really allow for detail in your tone and playing. So the gauge is a matter of personal preference and is influenced by the type of guitar you’re using. Most of the guitars on our list, to put things in perspective, will come with medium to heavy strings, but there’s no reason you can’t go lighter if you want. The gauge isn’t the only thing to consider, however. There’s also the material. And when it comes to materials there are potentially two bits to look at - the string itself, and the coating. Firstly, the metal used in the string. The vast, vast majority will be some form of bronze or bronze alloy. Standard 80/20 bronze is the most common, giving a nice bright sound, and they don’t cost much either. They do however age fairly quickly. Aluminum bronze strings are a bit sharper, and nickel bronze tends to give a very natural sound. There’s also phosphor bronze which lasts a lot longer and has a warm tone to them. Aside from bronze, you might also find brass, which is for that typical jangly sound that you’d expect from a brass instrument but is not the best for many kinds of music. Silk and steel is the final option, which is extremely good for a folky type guitar where you want something soft and mellow, but again, is not that versatile. As we already mentioned, lots of strings now come with a polymer (or similar) coating. 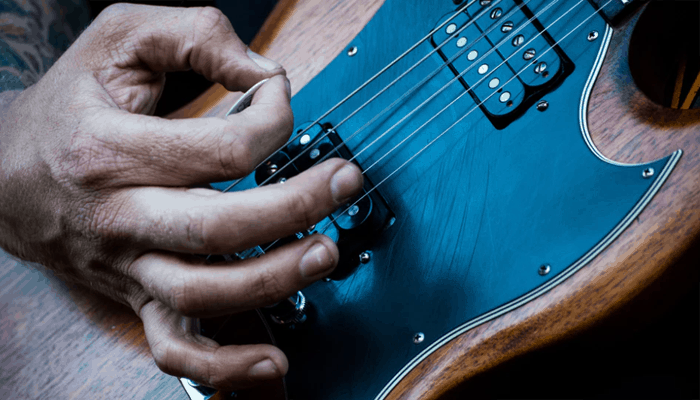 This will drastically improve the life of your strings, but some guitarists believe that it reduces some of the sustain and resonance, and feels less natural. Again, this is a personal choice, but the coated string is extremely popular. They can also be bought in different colors such as black if you’re really into customizing the look of your guitar. Our last word on strings is brand. You do get what you pay for, so if you aren’t happy with the way your strings feel on your guitar - don’t fret - you can always change them for something better. You might think that you can just plug your electro-acoustic guitar into any normal guitar amp and start playing. And while this is certainly true - you can plug it in and it’ll no doubt make a nice sound (and many people will do this on stage) - it isn’t the best. Dedicated electro-acoustic amplifiers are available, and they are designed to bring out the very best in their guitars. 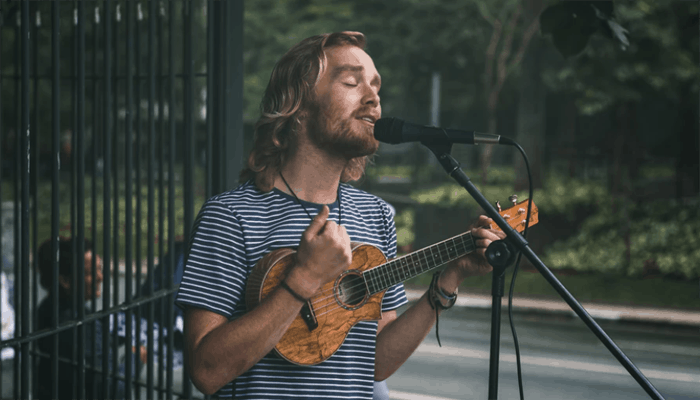 If you’re looking to purchase an electro-acoustic guitar, then do strongly consider getting the right amp, because this will really help you to get the most out of your playing. There aren’t as many on the market as normal amps designed for normal guitars, but generally, you want to be looking for similar things as a normal amp - good quality and clean tone. If you think you might use some effects, then you can always look for amplifiers with effects built in so that you don’t need to buy a separate pedal. These are fairly common but generally, aren’t as high quality as using a valve amp and pedal. Best for beginners and part-time acoustic players though. Feedback control is essential too, as this helps to reduce the feedback that is naturally likely to occur while playing an electro-acoustic. Most amps come with this, but they’re not all equally good at it, so try them out for yourself when your guitar arrives, or check out what other people are saying. 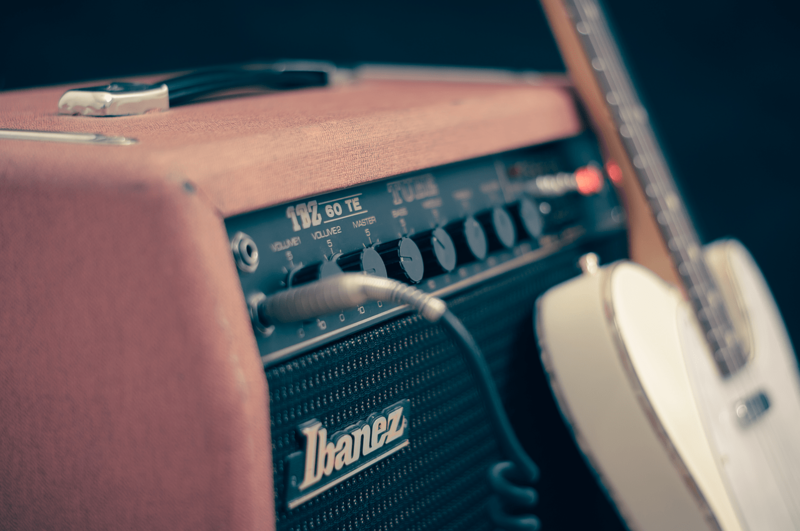 Ultimately, you don’t strictly need a dedicated and special acoustic amp to enjoy your new guitar, but it will certainly help if you want the full experience. 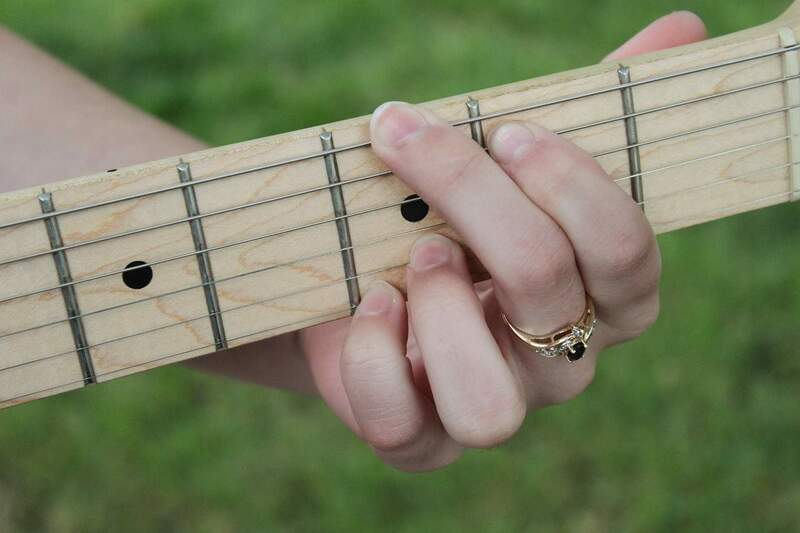 The fretboard, also known as the fingerboard, is the part of the guitar that you’re going to be in contact with the most, which means that it’s a very important part of the guitar, despite the fact that the body generally steals the limelight. The fretboard is generally one of the places in which you can tell whether a guitar is really well made, or whether it was put together only with cost in mind. That’s generally because it takes fairly high-quality craftsmanship to make a high-quality fretboard. A good quality fretboard will have very smooth edges, be as uniform as possible, be cleanly finished, and the fret wire (the horizontal metal delineating each fret) should be smooth and uniform too. This will make playing the guitar much nicer, and reduce the chances of hitting a note that buzzes or doesn’t sound right. ‘Action’ is a very important part of being able to play well - and quickly in particular. This term refers to the gap between the strings and the fretboard. Too big and playing becomes more difficult. Too small, and the strings might buzz against the fret wires. This is can be changed by adjusting the truss rod in the neck, which alters the direction in which it bends, but the fretboard itself does play a large part. 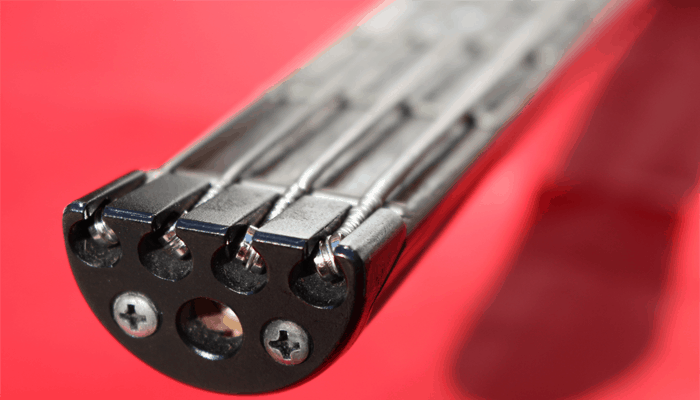 Fretboards can be tidied up - known as dressing - if they need a little adjustment, but there’s no substitute for one that’s simply been crafted to a great standard. Of course, it’s not all about quality - looks are important too. If you’re wanting a guitar that really looks the part, then you might want to think about the inlays on the fretboard. They can range from plain dots too much more extravagant designs. This is a big question for guitar players of all kinds when they’re looking for a new guitar, either for the first time or to add to their collection. And of course, it’s going to be true for electric acoustic guitars too. 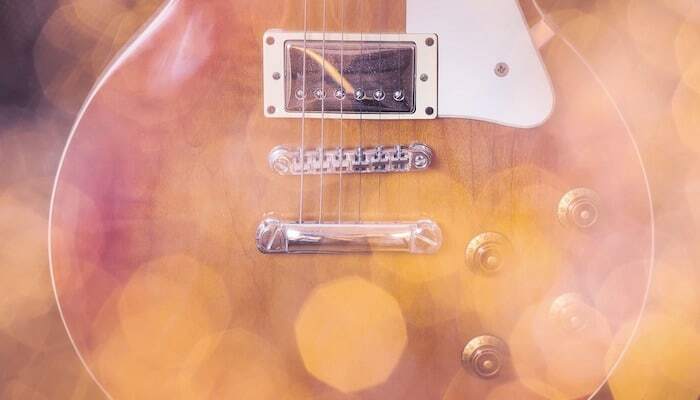 Unlike lots of other products, guitars don’t tend to change massively in their specification or technology as the years go by, which means that it’s less obvious that you should buy new. Unlike a car or phone, your guitar is not going to be outdated in a few years. Little illustrates this better than the fact that guitars from decades ago can be highly valuable, and even lower and mid-range ones tend to hold their value perfectly well. After all, if everything is still there, it’s going to make a sound just like a new guitar. Price is generally the big deciding factor in this. You could buy a mid-range guitar that’s a few years old for the same price as a brand new entry-level one, which makes it an attractive proposition. The only real issue, however, comes from what we’ve just covered - guitars don’t tend to depreciate that much, so you might not have to spend that much more to get something new unless you don’t mind buying a guitar that’s a little beaten up. Another thing to consider is the warranty, which could be more important than you think. If you buy a used guitar, and something goes wrong with it, you’re going to need to sort it out yourself. With an acoustic guitar, this is fairly unlikely. With an electric, it can be a pain, but there are lots of interchangeable parts readily available. On an electro-acoustic guitar, however, it can be a fair amount more annoying. There’s every chance that the preamp is not easily interchangeable for instance, so if it fails, you might need to find a direct replacement or someone who knows how to fix the internals. If it’s a preamp with EQ and other settings it could be fairly complex. This is made worse if you’ve bought an electro-acoustic that’s a few years old. Buying new with a warranty removes this issue for several years. The final point, of course, is that sometimes it’s just nice to have brand new things, and there’s nothing quite like unboxing a guitar for the first time. So you’ve read our reviews, or you’re looking at other guitars, but you’re not actually sure what you’re looking for in an electro-acoustic. This is something a lot of buyers will struggle with, so you’re certainly not alone. Let’s go through a few of the big things that you should consider when you’re picking between the selection. The most obvious one to look at the will, of course, be the shape and size of the body itself. Most acoustics, and therefore most electrified versions, are of the ‘dreadnought’ style. This is the second largest size (under the uncommon jumbo), designed for full-bodied tone and volume. It works especially well-electrified, so you’ll find the vast majority of them are this shape. The downside to the dreadnought is, of course, its size and depth, which is awkward to play for some and isn’t the easiest to transport. To combat this, while retaining that beautiful classic shape, a lot of manufacturers have released slimmer versions, often known as slimline or thin line guitars. You’ll find several of these on our list. So you’ll need to decide whether you want the full tone and volume of a dreadnought or a bit more of an ergonomic shape. While we’re still talking about the body, we should also cover something that you’ve probably seen mentioned a few times - solid top. This is where the top (face) of the guitar is made from solid pieces of wood rather than laminate. It will improve resonance, sustain and more, but it’s also more expensive. Some of the guitars on our list are solid top, and some are not, so be aware. The type of wood will change the tone too, but that’s not such a big consideration on lower-end guitars like the ones in our list. Leading on from this is the neck. There is actually quite a lot of variance between necks, which is why it’s good to know what shape you prefer when shopping online. The most common are D and C shapes, but they’ll come in a variety of thicknesses and depths. If you know what style you prefer, then go for that, as it’ll be much more comfortable to play. Another thing to consider here is that some necks will be painted, and some won’t. Again, it’s all about preference, but some people prefer the feel of an unfinished neck. Access to the neck might be important too. If you think the music you’re going to be playing will require a lot of access to the upper frets, then you probably want a guitar with a cutaway, which allows you to get your hand right into the last few frets. The above information pertains to all kinds of acoustic guitars, but when it comes to acoustic electrics, there’s also the electronics to think about too. As we discussed in the pickup section, this isn’t something you need to worry about too much outside ensuring you have good quality gear. What you might need to look for however is EQ adjustment and other options on the preamp. Some guitarists will want full control over their tone, and others will want to let their guitar shine by itself. Again, it’s all down to preference. When considering guitars under $500, a lot of people will be concerned that we’re only reviewing the cheapest entry-level electro acoustics for beginners. And in some cases, this is true - if you’re just getting into guitars, or this is your first electro-acoustic, then you probably don’t want to spend too much. That said, many of the guitars in our shortlist are more than capable of being used by professionals, and would certainly suit a studio environment, or even the stage, particularly if you’re looking for something you can grab for a song or two. We’d strongly recommend the Yamaha FSX830C, the Epiphone Dove Pro, and the Epiphone Hummingbird as being great all round guitars that professionals can use too. Remember that so much about a guitar is down to preference - not all professionals want the same thing, and neither do beginners. Our top choice simply couldn’t be anything other than the brilliant Epiphone Dove Pro Solid Top. It’s an all-around fantastic piece of kit that just feels like a great mid-range electro-acoustic despite being priced right near the very bottom. The first thing you’ll notice about this particular guitar is the looks and attention to detail. The violin burst on the top looks great, but then you have this fantastic dove image on the pickguard, along with wings that sit neatly on the bridge. It all feels like a lot of time has been spent making sure the guitar looks good, even close up where the finishing is concerned. Being inspired by classic dovetail guitars, you’d expect the Epiphone Dove to recreate some of their beautiful tones, and we're pleased to say that it does just that. You’d be very hard pressed to find another electro-acoustic guitar within $500 of this one that sounds any better - it’s that good. Hardware is top notch, and quality feels great too. This is a guitar to keep for a long time - it’s really not a budget stopgap, which is why we’re so impressed. First things first; being a small body with a compact neck, this guitar isn’t going to be for everyone, but given that it does everything almost flawlessly, this is our pick for those who don’t mind hitting the top of the $500 budget. The quality is exactly what you want from a guitar of this price, and more. There are no rough edges to the frets, the binding is super even, there are no marks on the finish. It’s nearly perfect, and lots of people would be hard pressed to tell that this isn’t a much more expensive guitar than it is. The sound from the FSX830C is modern and tight, lending itself very well to being amplified. The small body means it won’t quite stand up to the competition when played acoustically, but then that’s not really what this guitar is for. In short, if you want something that’s nice and portable, that you can easily take for band practice or do a couple of songs while you’re on stage, then this Yamaha acoustic-electric guitar under 500 is the one to go for. The Jameson ThinLine simply couldn’t be our great value pick. It’s pretty much the cheapest electro acoustic guitar that you can order right now but manages to be a very respectable guitar despite that. No, you’re not getting premium hardware, wood, or build quality, but you are getting a guitar that has been designed to play well that won’t let you down. We really like the blue/black burst coloring. It just goes to show that you really don’t need to spend a lot of cash to get a good looking guitar. The finishing is pretty good, with no signs of real cost-cutting measures, no unfinished edges, and nothing that feels like it might fall apart. Despite being a thin line guitar, it still sounds nice and has plentiful volume and depth. 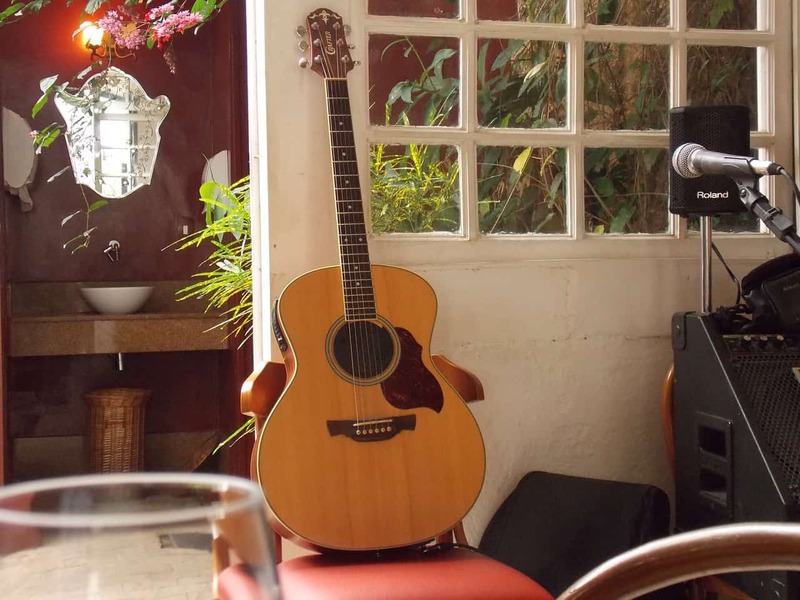 For practicing yourself, it could certainly be used unplugged. If you’re really not sure if an electric acoustic guitar is for you, and you just want something to play around with, then you can do a lot worse than giving this great little guitar a go. It would be best for kids too, especially if they want to get up on stage or play loudly through an amp. So whether you’re looking for something just at entry level, or you’re hoping to get something premium for your money, you are sure to find something that suits you in our best ten list. They’re all under 500 bucks, they’re all great at what they do, and you’d do well to order any of them.